Because of the drought in Colorado, we may see the colors changing sooner and peaking sooner especially in the south. Experts say they could peak as early as this weekend. Why is Colorado nicked named Colorful Colorado? First of all, the word Colorado is of Spanish origin and means the colored red. According to history, the Colorado River's soil was a deep red, so Congress named the region Colorado after it's deep red soil. Colorful Colorado came later and nicked named after the beautiful mountain scenery and the different colors. 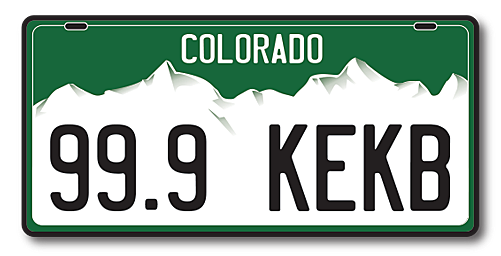 Colorado has also been nicknamed the centennial state because it became a state in 1876 one hundred years after the signing of the Declaration of Independence. Over the years there have been plenty of nicknames for Colorado. For instance, because of the Buffalo that roamed the area, it was called the Buffalo Plains State. Colorado was also called The Highest State because of the altitude, other nicknames include, The Switzerland of America, and The Rocky Mountain State. If you can think of any more names, I would love to hear them or pictures of the beautiful mountain scenery.